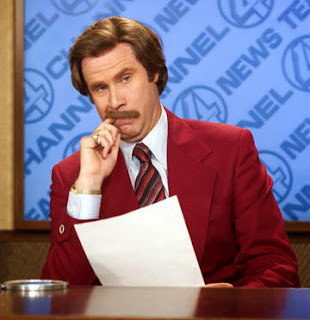 Anchor: (making fun of Anchorman) I'm Ron Burgundy? Who put a question mark in the teleprompter?! Reporter: I haven't even started writing my script yet!